Travel Tooth Cleanser & Breath Freshener. Bamboo Ribs, Hand Fan. Available in: White, Black, Red, Green, Blue. Minimum Quantity: 10. We all are very well aware of the importance of personal care and hygiene from an early age. As they have said, "The most powerful relationship you will ever have is the relationship with yourself." We also believe in the same, that's why we have launched our special range of personal care products. 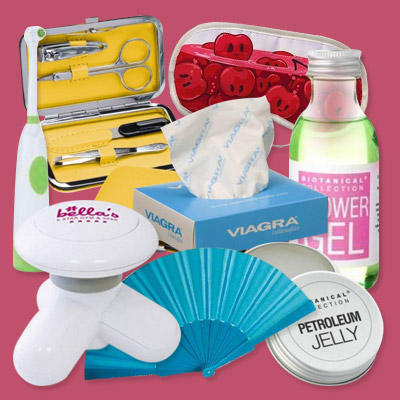 It has the best collection of handy items which can be used in day to day life. You can go for our Milton Care Set which will include a soft Cotton Towel, Wood Nail Brush with Pumice Stone to take good care of one's nails & skin, a Massage Soap with Soft White Cotton Fragrance & Natural Wood Cuticle Pushers to give the most gorgeous hands and feet. Or else, you can also opt for our Hand Cleanser which is a Slim Line Pen Style Design, with Handy Clip and is very ideal to keep at all times. Embed you logo on these items and let your clients to be a gardener and help them take care & nourish the garden of their body.